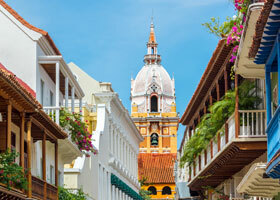 Star Collector Voyages combine some of our most popular cruise itineraries for a more in-depth exploration of each region. Featuring longer voyages of 13+ days and few repeated ports, take advantage of your time here and unpack only once. Travel the world spending more time sampling exotic cuisines, immersing yourself in new cultures, and discovering perspectives that open your heart and return home with a soul fulfilled. All Star Collector Voyages feature FREE daily laundry, so you can travel light and come home with a well-traveled suitcase and one less chore. 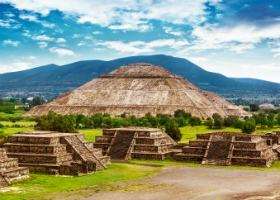 Accomplishments of a lifetime deserve vacations of a lifetime, and this 51-day day cruise spanning the length of the Mediterranean is a perfect reward for milestones big and small. Depart from Lisbon and sail down the Atlantic side of the Iberian Peninsula where you’ll learn terroir secrets and the long history of sherry aging and sample dry, bready “fino” and dark, nutty “oloroso” sherries in the countryside outside Cadiz, Spain. Admire colorful mosaics and detailed stone latticework as you learn about kings and caliphs tied to the Moorish palace of the Alhambra above the port city of Almeria. Wander a medieval castle in Catania and learn how geology and nearby Mount Etna carried this coastal fortification nearly a mile inland. 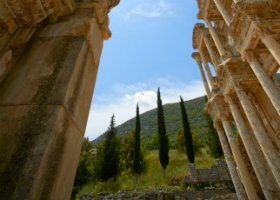 Listen to a private concert and attend an exclusive dinner among the towering pillars of the Celsus Library in the ruins of Ephesus, Turkey in our complimentary Destination Discovery Event. Wander the ancient baths, markets and forum at the excavated archaeological site of Pompeii. Stroll between century-old olive trees and vineyards surrounding an old French farmhouse outside Sanary-sur-Mer, then sample wines and olive oils in the intimate company of winery staff. Your epic odyssey ultimately concludes in the Catalonian capital of Barcelona, where you can board a cable car bound for Montjuïc Castle, or wind your way along Las Ramblas, an iconic, pedestrian mall lined with tapas bars, small shops and kiosk vendors. It’s an ideal way to find your own space to sip Catalonian Grenache red wine and reflect on your journey while tourists, shoppers and families flow by your table. Sail into the summer season with a Mediterranean cruise that visits Greek and Adriatic coastlines before exploring the breathtaking and storied shores of Sicily and Italy during this 16-day adventure. Shortly after departing Athens transit the Corinth Canal, an impossibly narrow time-saving waterway that bypasses 400 miles of coastline, and is only accessible to small ships, so you enjoy the sights and splendors of the Temple of Apollo in Delphi the next day. Wander among Split’s thousand-year-old walls as you make your way to Diocletian’s Palace. Dine on tart and refreshing lemon gelato within sight of gondolas gliding beneath Venice’s Rialto Bridge. Your journey concludes near Rome, the epicenter of the Roman Empire and a contemporary focal point for Italian food and fashions. Sidestep growling scooter traffic as you make your way deep into Roman Forum ruins, take a seat in the Colosseum and don’t forget to ensure a return trip by tossing coins tossed into the lavish Trevi Fountain. Spend 27 exhilarating days on both sides of the International Date Line among North American wildlife like bears, moose and caribou, calving glaciers in the Tracy and Endicott Arms, and stunning Japanese parks including the crater lake in Akan National Park in Kushiro. 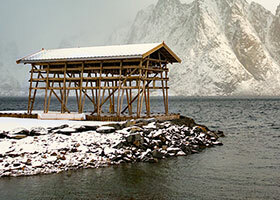 Your memorable Pacific port stops include Vancouver, Canada, 11 visits throughout Alaska and the Aleutians, and the final three stops on the other side of the international date line in Kushiro, Miyako, and Tokyo, Japan. Start your South Pacific adventure at the sunny beaches of Papeete before setting off to Bora Bora for world-class snorkeling in crystal-clear lagoons. Get a taste of the Cook Islands in Rarotonga—boasting palm-studded white-sand beaches, lush jungles and the glistening waters of Muri Lagoon. 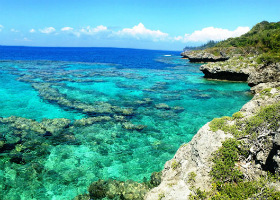 Niue charms visitors with its friendly locals, pristine beaches, coral reefs and mystical caves. Escape to the remote and rarely visited port of Vava’u, Tonga where unspoiled waters offer snorkelers and divers encounters with a variety of sea life and visibility exceeding 100 feet. Discover Savusavu’s lovely black pearls and Suva’s British colonial buildings and farmer’s market. See colonial homes, visit Nadi Temple, or take a relaxing mud pool bath in Lautoka. Upon arriving in Port Vila, sample the fresh seasonal fruit at Mama’s Market, relax at pristine Jade Beach, or take the boat to Tranquility Island to visit the Hawksbill Turtle Sanctuary. Continue to Lifou’s Jokin Cliffs and Jinek Beach at Ile de Pins, known for its tall native pine trees, turquoise waters full of colorful coral, and white-sand beaches. Noumea, once the World War II headquarters for the U.S. military in the South Pacific, offers magnificent beaches and incredible views from its string of stunning bays. Reflect on your Polynesian adventures, relax and recharge as you cross the Coral Sea en route to Cairns, Australia—gateway to the Great Barrier Reef. 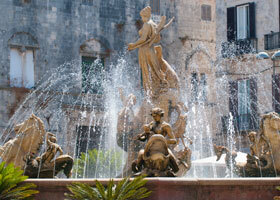 The allure of the Adriatic beckons to both new and seasoned travelers for its unspoiled shorelines and panoramic vistas. While the views from Santorini’s turquoise-topped domes are among the most celebrated in the world, don’t linger long or you’ll miss sailing on a catamaran to the volcanic islands of Nea Kameni and Palea Kamini, or even hiking above the famous steaming, sulfurous volcanic vents. Graze on lightly toasted Monopoli bread topped with roasted peppers and tangy, tobacco-flavored sundried tomato paté, which pairs perfectly with Puglia’s full-bodied Salice Salentino DOC red wines. Soar skyward as a cable car carries you to the sweeping vistas high above the red, terracotta-topped buildings of Dubrovnik, Croatia. Discover the beauty and cultural heritage interwoven with Zadar’s ‘white gold’ Pag lace, then test your skills at lacemaking under the guidance of a skilled Croatian artisan. Walk along the Venetian-styled piazzas of Venice -- romantic settings for countless films -- or float along the narrow canals as you’re serenaded by a gondolier. Sample Montenegro organic olive oils at a family-run estate in the rural countryside outside the village of Tici. Your cruise eventually winds around and up the Italian western coastline to Rome, the former center of ancient Western Civilization. Wander between the arches and broken walls of the Colosseum, or walk among the dead in the narrow corridors in the Catacombs of Rome. Before considering airline connections or adventures on other continents, toss a coin from your right hand over your left shoulder into the Trevi Fountain, so that you’re guaranteed to revisit the charms of the Italian capital in your near future. An Atlantic crossing offers abundant opportunities for catching up on reading, spa treatments and indulging in important passions that you keep putting off, like organizing to-do lists or outlining that manuscript you always plan to complete. You’ll also be fully rested and ready to explore Lisbon’s prominent landmarks like the alabaster-like Belém Tower, the elaborate grounds of the Jerónimos Monastery or the quiet corners of a wine bar serving fruity Vinho Verde or countless golden, nutty-nuanced port wines. Take an Andalusian-style side trip to Seville and discover often-overlooked Moorish influences in the medieval architecture throughout the 2,200-year-old city. 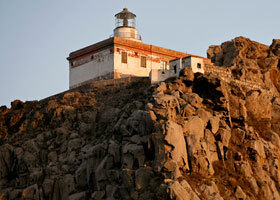 Soar to the top of The Rock of Gibraltar and gaze down on one of the busiest and most strategic sea. Even if it’s cloudy, you’ll still be captivated by the hundreds of Barbary macaques, the last surviving wild monkey population in Europe. Study Cubist co-founder Pablo Picasso’s sculptures, sketches, engravings and paintings in detail near his birthplace in Málaga. Stroll the weathered 14th century flagstones and admire the circular, Gothic-themed architecture of Bellver Castle near Palma de Mallorca. This restful adventure concludes across the historic Balearic Sea in Barcelona, where you can stay up late to dance among the vibrant night life or sit down for amazing toasty tapas and seafood paellas among the countless cafés and airy sidewalk bars. Indulge in unhurried pleasures among steep coastal cliffs, tiny vineyards and romantic villages throughout the Rivieras and Western Italy during this 17-day, autumn cruise. During the fall winemakers are racking fresh wine into barrels, and new olive oils are sampled for the first time. 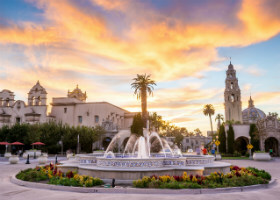 Stroll uncrowded avenues and discover fresh, distinctly nutty porcini mushrooms served fresh on pastas and sautéed into tapas at sidewalk cafés, browse open markets and inhale the fall aromas from ripe apples, plump grapes and early season citrus. 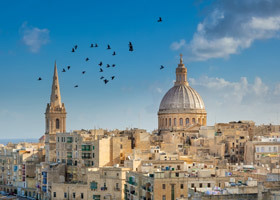 Test your luck in a Monte Carlo casino, hike the desolate Crateri Silvestri on the southeast slope of Sicily’s Mount Etna, and learn about Malta’s noble heritage inside the precipitous medieval walls of 4,000-year-old Mdina — The Silent City. Europe’s summer days are longest and most scenic along the coastlines of Scandinavia, Russia, Scotland and Iceland. Discover this unique seasonal beauty as fjords and pristine archipelagos meander past your cabin window late into the evening twilight. Pedal past tree-lined streets and pastel-painted homes in the archipelago town of Mariehamn, a Finnish island capital where nearly 90% of residents speak Swedish. Sample reindeer sausage or try fresh, tart lingonberries paired with smooth and velvety local ice cream in Helsinki’s numerous eateries and cafés. Stay overnight in St. Petersburg near the opulence and alabaster elegance of the Winter Palace, or test your endurance among Hermitage Museum’s three million exhibit items, a display tally second only to the Louvre. Master the Estonian art of fine chocolate confectionaries as you create mouthwatering truffle fillings under the tutelage of a Master Confectioner in Tallinn’s Rottermann Quarter. Admire expansive waterfalls and Norwegian natural settings as you wander among quiet, fern-topped cabins in the misty village of Hellesylt. Examine Iron Age artifacts near the craggy, windswept expanses surrounding the village of Lerwick, in the Shetland Islands, or sit with a frothy pint of ale among locals in a wood-paneled pub. Your extensive exploration of Northern Europe concludes in Reykjavik, with its steaming fissures and brooding volcanoes. Browse Edward Munch sketches and local artists’ works at the National Gallery of Iceland or discover a quiet café and drink in the warmth of fresh coffee and sincere Icelandic hospitality. Take a vacation from Mediterranean summertime crowds and sweltering humidity during this 20-day autumn cruise to ports and sites throughout Italy, Greece, and Turkey via the Corinth Canal, wide enough only for small ships like ours. Follow Christopher Columbus’s outstretched hand atop Barcelona’s Columbus Monument near Las Ramblas Promenade, and set sail for Palma de Mallorca’s sunny beaches and medieval fortifications. Savor sweet, citrus gelato or try Stracciatella—a lemon gelato mixed with chocolate shavings—at an Amalfi gelateria just a bocce-ball toss from the sweeping stairway leading up to the Duomo di Amalfi above the town’s thriving piazza. Explore broken monuments in the Temple of Delphi, a sacred space once considered the center of the ancient world. Indulge in exceptional Turkish cuisine amid the columns and weathered blocks of the Celsus Library in Ephesus, then enjoy a complimentary live concert and dinner under the stars. This remarkable journey concludes in Athens, not far from the Parthenon—the iconic Greek temple dedicated to Athena almost 2,500 years ago. Embark on your personal Homeric odyssey as you sail from Athens, cradle of Western Civilization, and explore the islands and shorelines throughout Greece, Asia Minor, Croatia and Italy. Board a small Mykonos boat and explore the remote temples and amphitheater on uninhabited Delos, a sacred place where ancient Greeks honored the mythical birthplace of Apollo and Artemis. Discover authentic preparation techniques for fried Greek meatballs and tart, creamy tzatziki under the guidance of a Rhodes taverna chef. Walk in the steps of ancient kings as you inspect the living quarters, storerooms and archaeological exhibits throughout the Palace of Knossos near Agios Nikolaos. Catch a Zadar sailboat bound for a 5th century fishing port on the island of Ošljak and pristine archipelago stops in the Adriatic Sea. This delicious and delightful journey concludes among the canals and piazzas of Venice, where you can experience the classic and timeless romance of being serenaded by your gondolier along the Noale or Grand Canals that connect over 100 tiny islets throughout the Venetian city. Begin your adventure on the sunny beaches of Papeete then set sail for the crystal-clear lagoons of breathtaking Bora Bora. Rarotonga is an up-and-coming foodie destination with white-sand beaches skirted by palm trees, dense jungle forests and inviting waters in Muri Lagoon. Niue charms visitors with its friendly locals, pristine beaches, coral reefs and mystical caves. Escape to the remote port of Vava’u, Tonga where unspoiled waters with visibility exceeding 100 feet offer snorkelers and divers encounters with manta rays, turtles, spinner dolphins. Discover Savusavu’s energetic waterfalls, rainforests and exotic black pearls. Suva offers a change of pace with multicultural cuisine, broad streets, and bustling farmer’s market. In Lautoka, experience more outdoor markets and a mud pool bath. 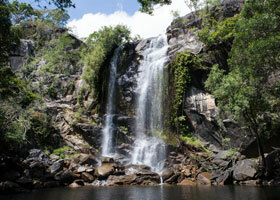 In Port Vila, Vanuatu don’t miss Mele Cascades waterfall, Jade Beach and a visit to the turtle sanctuary. 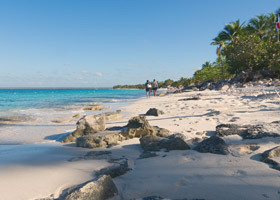 Take time to relax at Lifou’s Jokin Cliffs and Jinek Beach in New Caledonia. This fossilized coral atoll is the center of traditional Melanesian culture. 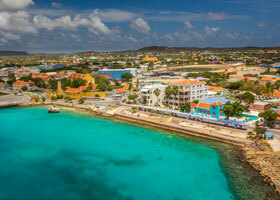 Mare is known for its turquoise waters full of colorful coral, white-sand beaches, and tall native pine trees. 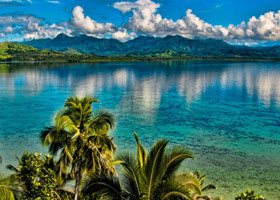 Your amazing voyage concludes in Noumea, the World War II headquarters for the U.S. military in the South Pacific with magnificent beaches and incredible views from its string of beautiful bays. 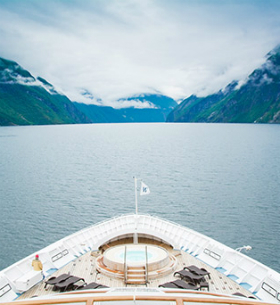 Embark on your Atlantic adventure in Copenhagen, a fairytale city filled with palaces, parliament, and the palate-pleasing tastes of Tivoli Gardens before cruising to breathtaking fjords in Geiranger, Norway. 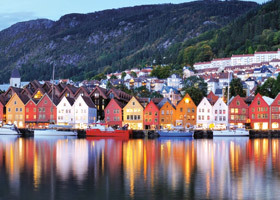 Bergen brings an opportunity to overnight and visit colorful Bryggen, the old Hanseatic wharf and UNESCO site. In Hellesylt, a waterfall divides the UNESCO town in two, Sunnylvsfjorden boasts restored hillside farmhouses and incredible hiking. Enjoy the Art Nouveau city of Alesund and explore Lerwick, the Shetland Islands’ only town with abundant marine life, tiny ponies and windswept cliffs. 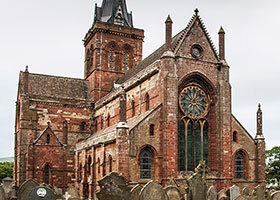 Kirkwall, in Scotland’s Orkney Islands, takes you back to a 5,000-year-old village, offers a chance to sample peat-distilled whisky, and visit the UNESCO site of the Ring of Brodgar, dating back to 2700 B.C. Visit the traditional turf roof villages of Torshavn and shop for distinctive knit wool sweaters in Denmark’s Faroe Islands. Iceland brings the eclectic architecture and vibrant art scene of Reykjavik, the glaciers and calderas of Snæfellsjokull National Park, and Heimaey Island’s modern-day Pompeii. Cross the Labrador Sea to discover Newfoundland, Canada with one of North America’s oldest settlements in St. John’s, an 11th century Viking settlement in L’Anse Aux Meadows, and the 10,000 year old glacier-carved Bonne Bay teaming with moose, caribou, Arctic hare and ptarmigan. Grab a donair (meat-filled pita) in Halifax. Then set sail for New England, visiting Acadia National Park, near Bar Harbor, Maine, the marine life rich Cape Cod Canal, and finally New York City with its iconic sites from the Empire State Building and Times Square to Central Park and the Statue of Liberty. Uncover Europe’s culinary and cultural delights throughout this 19-day August cruise featuring stops in the UK, France, Spain, and Portugal. Set sail near London and walk the small town of Dartmouth among fresh Royal Naval College cadets and Medieval Era exhibits. Pair rich Bordeaux wine blends with succulent French cuisine during an overnight stay in Bordeaux. Admire the view of distant Moroccan mountain ranges from the strategic heights of the Rock of Gibraltar. Discover the beauty of UNESCO site the Alhambra Palace. Kick back on a warm beach not far from Palma de Mallorca’s exceptional restaurants, or head up the hill and explore Castell de Bellver, a circular fortification dating back to the 1300s. This amazing adventure culminates in cosmopolitan Barcelona, where you can amble up Las Ramblas with pedestrians and shoppers, or wander among the Gothic Quarter’s narrow passages and daunting walls. Revel in the year’s longest daylight hours while exploring ports and cities throughout the North Sea during a 3-week cruise. Set sail from Reykjavik, Iceland’s largest city and an epicenter for contemporary music. Meditate in the silent shadows of Kirkwall’s St. Magnus Cathedral, a community gathering space for nearly a thousand years. Stroll along the gray stone walls of Lerwick’s Fort Charlotte, which deterred a 1600s Dutch fleet despite being undergunned and incomplete. Kayak along Alesund’s archipelago as seabirds soaring against a background of towering Norwegian fjords. Inhale the malted aromas brewing inside Dublin’s Guinness Brewery and then master the perfect pour. This magnificent adventure eventually concludes in London, where you take a spin on the Eye high above the thriving Thames River, or cross the Tower Bridge and listen to the rasps of ravens, the last captive residents inside the haunting Tower of London. Extensively explore Britannia before sailing south to France, Spain, Portugal, and Morocco during this 29-day cruise along North Sea, Atlantic, and Mediterranean shorelines. Begin in Edinburgh, an inspirational setting for J.K Rowling’s Harry Potter drafts. Tour the decks of the HMS Belfast adjacent to London’s Tower Bridge and imagine the life of a Royal Navy sailor. Bite into rich and creamy Camembert cheeses and wash them down with local ciders or apple brandy near Honfleur, France. Learn dominant grape varieties along the Dordogne’s Left Bank and Right Bank during a delicious overnight stay in Bordeaux. Delve into the Caves of Hercules in Tangier, a fabled cavern for resting Greek and Roman heroes, and a human habitat during Africa’s Neolithic Era. Your memorable journey concludes on Barcelona’s cosmopolitan waterfront, a short distance from the tapas bars and boutiques along the thriving, centuries-old Las Ramblas. Ideal for anyone seeking equal portions of relaxing time at sea and port visits, this 22-day transatlantic crossing features a combination of leisurely, uninterrupted sea crossing time balanced with the best ports in the Western Mediterranean. 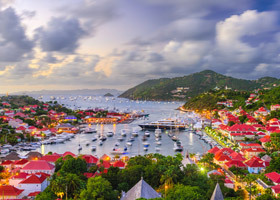 Board in Barbados, then spend time crossing the Atlantic and enjoying the romance of sailing as you make your way to your ultimate destination. Sip port wines in Lisbon, Portugal, browse wares in the bustling Grand Souk in Tangier, Morocco, and wander the medieval cobbled streets of Tarragona, Spain. The sunny beaches of Papeete warmly welcome you to the start of your South Pacific adventure before setting off to Bora Bora for world-class snorkeling in crystal-clear lagoons. Get a taste of the Cook Islands in Rarotonga—an up-and-coming foodie destination and natural playground. Niue charms visitors with its friendly locals, pristine beaches, coral reefs and mystical caves. Taveuni offers unspoiled waters where snorkelers encounter soft coral reefs. Discover Savusavu’s abundant waterfalls, rainforests, and beautiful black pearls. Explore Suva’s British colonial buildings and farmer’s market. Upon arriving in Port Vila, feel the mist of Mele Cascades waterfall, or hop on the boat to Tranquility Island to visit the Hawksbill Turtle Sanctuary. The World War II headquarters for the U.S. military in the South Pacific, Noumea features magnificent beaches and incredible views from its string of beautiful bays. Cross the Coral Sea en route to Cairns and experience the magnificence of the Great Barrier Reef. 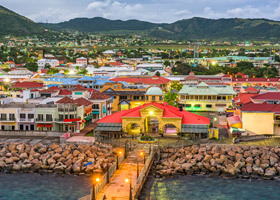 Cooktown charms visitors with its quaint fishing community, pristine beaches and tropical lagoons, while Thursday Island offers an introduction to the indigenous Torres Strait Islanders. Cultural exploration continues in Yirrkala, an Aboriginal artisan city where you’ll find bark paintings, weaving and Didgeridoos. 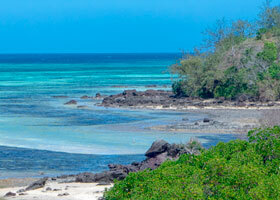 In Darwin, don’t miss Mindil Beach, Kakadu National Park, and Crocosaurus Cove. Cross the Timor Sea to Kupang, Indonesia where friendly locals delight in showing their tenun ikat woven cloths. Expand your idea of color upon entering Ende Flores, the launch point to visit Mount Kelimutu volcano and Blue Stone Beach. Wildlife lovers prepare to be amazed in Loh Liang. This UNESCO World Heritage Site and Biosphere Reserve is home to nearly 6,000 Komodo Dragons, orange-footed scrub fowl, Timor deer, Dugong sharks, manta rays, whales, dolphins and sea turtles. The finale in Benoa does not disappoint. Bali’s spectacular beauty, calm waters and small village atmosphere is a taste of pure paradise. 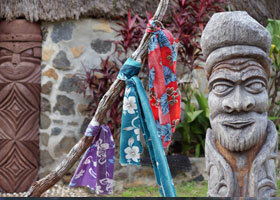 Don’t miss the view of Bali Volcano from Batur Caldera and be sure to bring home some of the island’s beautiful Batik. Roam between the broken monoliths and columns in the Roman Forum, Western Civilization’s former epicenter. 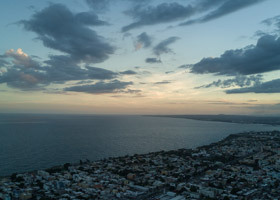 Gaze across Catania’s umber-hued, terracotta-tiled skyline to the steaming summit of Mount Etna as you sample authentic Sicilian dishes like densely textured handmade pasta topped with aromatic variations like sundried tomatoes, golden-brown dried grapes, fresh basil and minced garlic. This exquisite cruise around Italy’s Apennine Peninsula is abundant in opportunities to explore the lesser-known landmarks and narrow ancient streets of sleepy villages throughout the central Mediterranean. Sip citrus-sweet limoncello from frosty glasses while locals haggle over the proximities of their bocce balls on nearby gravel courts. Land at the tiny port of Lipari in the Aeolian Islands north of Sicily, and explore a Norman Castle built in medieval times, or master the art of Sicilian-style pizzas as you combine local ingredients into your own culinary creation. Step inside the cool and shady Romanesque splendor of Kotor Cathedral in Montenegro, or venture to the nearby pedestrian-only village of Perast and sample sweets recreated from Baroque-era recipes. 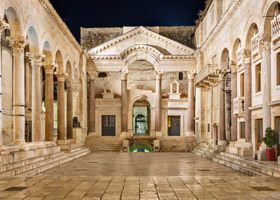 Capture the Old World ambiance of Split’s Diocletian Palace in the right light during a hands-on photo tour with an award-winning international photojournalist. 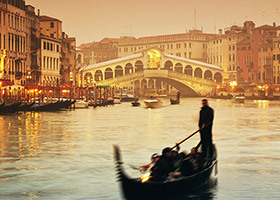 Your delightful journey concludes in Venice among romantic gondolas and exquisite Italian architecture, where you can reflect on your cruise memories as you float canals or search for last-minute souvenirs small, family-owned artisan shops featuring handcrafted glassware and ornamental metalwork. Experience the best Western Mediterranean ports in detail during this 15-day cruise through Monaco, France, Spain, Gibraltar, and Portugal. 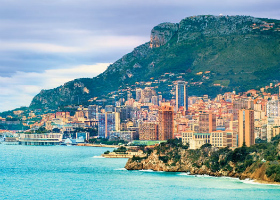 Stroll among opulent casinos, high-end boutiques, and historic Formula One landmarks in Monte Carlo. Sip wormwood-based absinthe in the French village of Antibes outside of Cannes. Or meander among the dusky walls and long shadows in Barcelona’s Gothic Quarter, taking in the aromas, sights and sounds of the Catalonian heart of Spain. Explore the finest small ports in Scotland, Norway, and the Faroe Islands (Denmark) before circumnavigating Iceland on this 17-day summertime adventure from Edinburgh to Reykjavik. Your first 11 days cover the shorelines of Scotland and Norway, stopping off to see Denmark’s Faroe Islands. 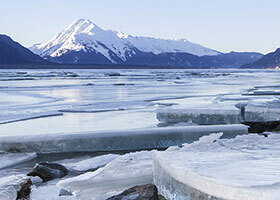 The following week explores Iceland’s majestic fjords, imposing volcanoes and remote rocky reaches. 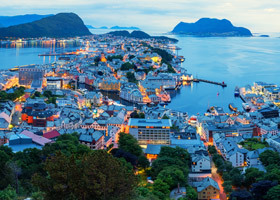 Discover the challenges faced by Iron Age communities near Kirkwall, Scotland, sample almond ring cake and other Norwegian culinary delights at a historic farm near Bergen, Norway, and kayak among sea birds and urban artistry in Alesund, Norway. Iceland excursions include flights above waterfalls and volcanoes on Heimaey Island, detailed archaeological examinations of a medieval farm near Seydisfjordur, and relaxing moments immersed in the natural geothermal waters of the Myvatn Nature Baths outside Akureyri. Rich with evocative history, unique culture and distinct cuisine, today’s Iberian Peninsula is the result of a complex confluence of civilizations. 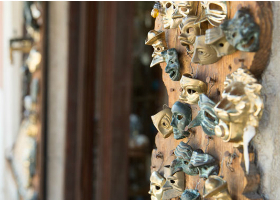 Contrast this extraordinary region with the rest of Southern Europe during this 18-day cruise spanning nearly the length of the Mediterranean Sea. Admire Moorish architectural influences in the walled port of Cadiz as you compare bready and clear regional ‘fino’ sherries with sweet, ‘cream’ sherries. Soar skyward in a gondola to the scenic vista atop Gibraltar summit. Gaze up at the towering walls of the Alcazaba of Almería, a formidable Moorish fortress overlooking the tiny Andalucian port. 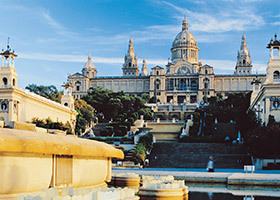 Peruse the works of Gaudí, Dalí, and Picasso throughout Barcelona’s museums, galleries and exhibitions. Pair authentic Italian cuisine with lip-puckering Limoncello adjacent to a bustling piazza or quiet, cobblestoned Amalfi side street. Witness the power of geologic instability as you travel inland to explore Catania’s Castello Ursino, a Medieval-era castle initially built on Sicily’s coastline 800 years ago. Float across the mirrored surface of an underground lake in the Caves of Diros far below Gythion, Greece. This exceptional journey concludes in Athens among the shadows of the towering Acropolis, where you can raise a glass of anise-scented ouzo among the company of family and friends. Venture from the Roman Empire’s epicenter to the westernmost edge of the European continent during this 15-day cruise rich in ordinary and extraordinary cultural contrasts throughout Italy, Monaco, France, Spain, Gibraltar, and Portugal. Set sail from the thriving port of Civitavecchia near Rome. Walk along Monte Carlo’s uncrowded sidewalks and explore the storied corners and narrow straightaways that wrote Monaco’s racing history. Browse produce and stall displays in Old Town, Nice. Ride a gondola to the sweeping summit views above Toulon in southern France, and drink robust red wines blended with Grenache, Cinsaut and Mourvédre grapes. View Moroccan shores from the heights of Gibraltar. This remarkable journey ends in Lisbon, Portugal, where you can dine on creative salt cod cuisine in family-owned cafes or take a ride on one of many lemon-hued trams. 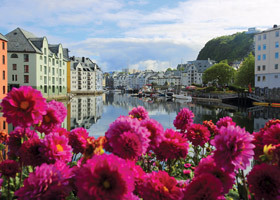 Set sail on an unforgettable vacation rich in European art, Mediterranean cuisine, and memorable cultural exchanges during this epic 66-day cruise featuring stops in Iceland, Faroe Islands, Scotland, Norway, Northern Ireland, Wales, England, France, Spain, Portugal, Spain, Morocco, Italy, Malta, Greece, and Turkey. 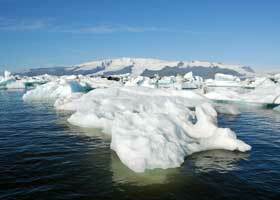 You begin in Reykjavik, surrounded by ice-topped ridgelines. Visit Akureyri along the northern Icelandic coast, not far from lunar-like volcanic expanses where astronauts perfected simulated moonwalks. Sip a pint of amber ale or a dram of fiery golden Scotch whisky in a Kirkwall pub. Wander Dublin Castle’s Gothic halls. Sample premier crus and small-run French wines during an overnight stay in Bordeaux. Stroll Valetta’s narrow flagstone streets and touch dun-hued city walls gouged by centuries of sieges. Dine among the history of the Celsus Library prior to an exclusive concert in Ephesus. This epic journey concludes in Athens not far from the Acropolis and the best souvlaki-serving tavernas found in the Attica. 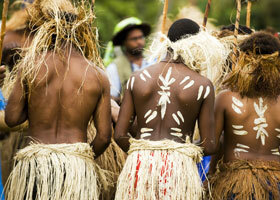 Iconic ports are punctuated by hidden gem ports on this 59-day voyage through the South Pacific. Snorkel and swim your way from Polynesia to Australia and Bali delighting in the sapphire lagoons of Bora Bora, Rarotonga, Tonga and Ile de Pins while you encounter manta rays, turtles, spinner dolphins and visibility exceeding 100 feet. 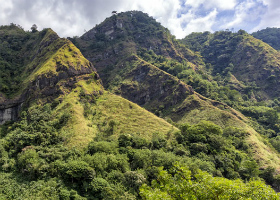 Discover diverse cultures from traditional Fijian villages with East Asian influence to Australia’s Aboriginals and Java’s mountain dwelling Tengger people who are said to be descendants of the Majapahit princes. Sample local curry, French fusion, fresh fish ceviche and earth-oven baked banana pudding. Erupt with excitement witnessing volcanoes such as Mount Bromo, Mount Batur, and Krakatoa. Cross the Coral Sea en route to Australia where you’ll cruise the Great Barrier Reef—one of the world’s seven wonders. Wildlife lovers prepare to be amazed in Loh Liang, a UNESCO World Heritage Site and Biosphere Reserve that is home to nearly 6,000 Komodo dragons. After adventures in Indonesia, extend your stay in Singapore to visit the UNESCO Botanic Gardens, Little India, and Chinatown before toasting a Singapore Sling to the trip of a lifetime. Make the most of every European moment during a delightful journey that touches on 11 countries throughout the north and west. Walk among the restless, unrelenting push of prevailing westerly sea breezes that ruffle the Galician vineyard vines today but protected El Ferrol and the Castle of San Felipe from centuries of seafaring invaders and blockades. Explore the shadowy recesses of German bunkers, detailed World War II exhibits and heart-rending memorials in St.-Malo, France. 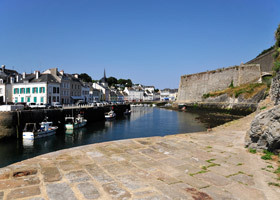 Indulge in deliciously decadent cheeses from world-renowned Jersey cow dairies outside St. Helier on the Channel Islands. Admire classic masterpieces in Bruge’s famed Museum St. Janshospital, then sample rich Belgian chocolates and tart Trappist ales. Ride sturdy bikes along Amsterdam’s cobblestone paths, past quiet canals and open markets, before snacking on salty fish paired with sharp pickles and aromatic onions at local herring carts. Make a leisurely transit of the Kiel Canal, tracing pastoral Eider Plain farmland, and enjoy perspectives inaccessible to large conventional cruise ships. Sip coffee paired with mouth-watering chocolate desserts in Copenhagen’s scenic Tivoli Gardens, among stalls and pavilions that have been around since 1843. Linger amid Russia’s largest French art collection and the Faberge Coronation Easter Egg during an overnight in St. Petersburg. This exploration of the Atlantic and Baltic coastlines concludes among the modern splendors of Stockholm, where you can marvel at the restoration of a 17th Century warship and other maritime exhibits in the Vasa Museum, learn about human advancements at the Nobel Museum, or sample the delicate flavors of Gravlax, thinly-sliced dill-cured salmon at one of the innumerable charming waterfront cafés. Venture from Portugal’s warm shores and Ireland’s verdant estuaries to Iceland’s blue-tinged glaciers and steaming geothermal pools during this 15-day cruise that visits memorable ports throughout Portugal, Spain, United Kingdom, Ireland, Faroe Islands, and Iceland. Sip rich red ports in a riverfront winery warehouse in Porto, Portugal. Stroll through a tropical garden in a former abbey on the Isles of Scilly. Step atop massive basalt columns along the Giant’s Causeway near Belfast. Explore a Viking excavation near the remote village of Torshavn on the Faroe Islands. Listen to survivor accounts during a volcanic eruption on Heimaey Island, the Pompeii of the North. This memorable journey concludes in Reykjavik, Iceland, where you can enjoy coffee and nibble on sweet pastries steps away from Hallgrimskirkja’s soaring spire, or soak up the Blue Lagoon’s steamy outdoor waters. This month-long voyage from Melanesia to Australia and Indonesia offers a chance to relax and take in a wide range of unforgettable cultural experiences and breathtaking natural wonders. Begin your journey in Lautoka, Fiji with a visit to Nadi Temple or a relaxing mud pool bath before diving into the crystal clear waters of Yasawa-I-Rara Island. Snorkel your way through the colorful lagoons of Melanesia and visit the Hawksbill Turtle Sanctuary at Port Vila. Spend time at sea with virtually no interruptions. 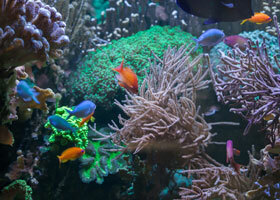 Witness several live volcanoes, and experience the magnificence of the Great Barrier Reef. Cultural exploration continues in Yirrkala, an Aboriginal artisan community where bark paintings, weaving and some of the finest didgeridoos abound. Cross the Timor Sea to Kupang, Indonesia where friendly locals delight in showing their tenun ikat woven cloths and secluded beaches. Wildlife lovers prepare to be amazed in Loh Liang. This UNESCO World Heritage Site and Biosphere Reserve is home to nearly 6,000 Komodo dragons, orange-footed scrub fowl, Timor deer, Dugong sharks, manta rays, whales, dolphins and sea turtles. The finale in Benoa boasts Bali’s spectacular beauty, calm waters and small village atmosphere—pure paradise. 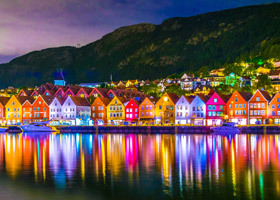 Much like the Irish blessing, the road, fjords and emerald scenery rise up to meet you throughout this 16-day cruise to historic Northern European ports, emerald-topped cliffs and unspoiled Norwegian fjords during visits throughout Ireland, the Isle of Man, Scotland, Norway, and Denmark. Sip a rich and frothy stout and take in Dublin’s skyline from the Gravity Bar. Float past lonely Scottish castles, serrated coastal cliffs and seemingly endless windswept heaths. 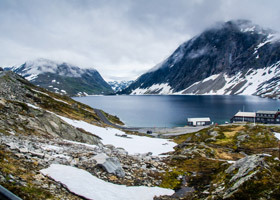 Ride deep into the Norwegian wilderness aboard the scenic Flam Railway. Spiral skyward in the hoofsteps of royalty inside Copenhagen’s Rundetaarn, a 17th century observatory built for horses and carriages and host to horseback rulers like Czar Peter the Great. Discover magic moments unique to extended port stays during this 20-day cruise tracing the sundrenched coastlines and reclusive ports throughout Spain, Italy, Malta, Greece and Turkey. 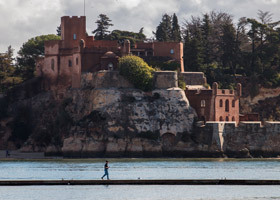 Wander along the long the curved walls of circular Bellver Castle outside Palma de Mallorca, or dine on tapas made from toasted bread topped with salty hams, capers, anchovies and more. 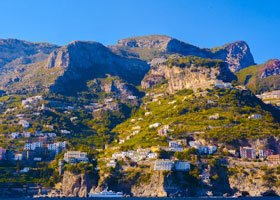 Board a private Amalfi boat bound for the Moorish port of Positano, a remote haven for artists, artisans and discerning shoppers seeking one-of-a-kind stylish apparel and accessories. Wind your way through narrow, alabaster passages intertwining the outskirts of Mykonos before stopping for refreshing Greek beers at a late-night waterfront café. Step among broken statues in the former ancient port of Ephesus and dine by moonlight by the towering columns of the Celsus Library. Delve into the legendary labyrinth of the mythological Minotaur below the Minoan Palace of Knossos. Follow the aroma of fresh breads and local wines throughout the flagstone arterials of the tiny medieval village of Monemvasia. This remarkable extended odyssey ends in Athens, where you can revisit the Parthenon at the top of the Acropolis or seek out savory gyros, dolmades and keftethes among the dozens of eateries and cafés throughout the thriving capital. Discover the culture, history and cuisine on both sides of the Italian peninsula during this 15-day cruise of the Adriatic, Ionian, Ligurian and Tyrrhenian seas. This back-to-back cruise is ideal for optimizing shore excursion time in Italy, Croatia, Montenegro, Monaco, France, and Spain. Stroll through Roman ruins in Rovinj, Croatia, sample olives and smoked hams at a centuries-old family farm in Montenegro, or savor an unforgettably romantic evening dinner at Château Eza in Èze 1,400 feet above the beaches of the French Riviera. Journey to the Holy Lands from the Western Mediterranean cruising to over 22 ports throughout Spain, Italy, Malta, Greece, Turkey, Cyprus, Israel, and Egypt. 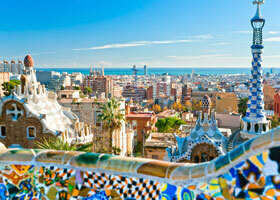 Depart from Barcelona to Palma de Mallorca, a beachside resort that remains warm and inviting all year long. Inhale rich blackberry and cherry aromas from a ruby glass of Nero D’Avola wine at the foot of Sicily’s Mount Etna in Catania. Travel the small-ship exclusive Corinth Canal. Dine on Turkish cuisine amid the romantic evening shadows of the Celsus Library ruins of Ephesus with our complimentary Destination Discovery Event, then, take in a memorable concert performance. Wander beneath centuries-old Christian mosaics in Istanbul’s Hagia Sofia, and admire over 20,000 hand-painted floral tiles extending to the ornate domes inside the Blue Mosque. Embark on an overland excursion to the Dead Sea and learn the true fate of Alexandria’s Great Library in Egypt. 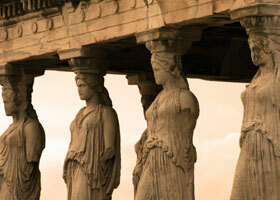 This unforgettable cruise concludes in Athens, not far from the Parthenon’s long shadows atop the Acropolis. Savor 19 days of sailing and adventures among the northern latitudes of Ireland, Isle of Man, UK, Norway, Faroe Islands (Denmark) and Iceland in this exceptional journey featuring 15 stops in diverse and scenic settings that range from remote fishing villages to bustling seaports. Wander the windswept northern Scottish reaches once inhabited by Iron Age families outside of Kirkwall. 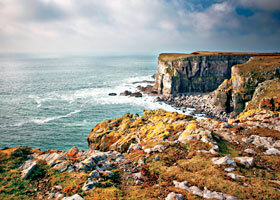 Watch nesting sea birds and listen to the calls of grey seals along the coastline of Spanish Head on the Isle of Man. And step inside the Rosenkrantz Tower at Saint Mary’s Church in Bergen, recognized as the finest example of Romanesque architecture in Norway. In Reykjavik, Iceland you can visit the stately white Höfdi House where Ronald Regan and Mikhail Gorbachev discussed peace in 1986 before sampling Icelandic meat soup at the Viking World Museum. Take advantage of the Mediterranean’s milder temperatures and uncrowded museums and markets during this 15-day autumn cruise. Set sail from Venice, not far from the storied Grand Canal and the linen-covered tables and fragrant pink peach Bellini cocktails at historic Harry’s Bar. Take in the view of Rovinj from the Baroque-styled heights of St. Euphemia’s alabaster-hued tower. 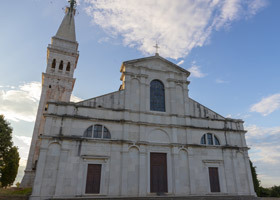 Reflect on magnificent oil paintings and the tradition of throwing stones into the sea inside the Church of Our Lady of the Rocks across the scenic bay from Kotor, Montenegro. Dine on Coda alla Vaccinara, or sauce-covered oxtail, a favorite local dish in Rome. Shop stylish one-of-a-kind French beachside boutiques in Nice. Ride a gondola to Mont Faron’s scenic summit, high above Toulon. This memorable Mediterranean cruise culminates among the artistic urban splendors of Barcelona, where you can browse kiosks, shops, and cafés along La Ramblas, and tour Sagrada Família, Antoni Gaudi’s artistic vision of a contemporary Roman Catholic basilica. Contrast the vibrant and cosmopolitan western Mediterranean with the remote ruins and rustic ports in the east during this 28-day cruise featuring stops throughout Portugal, Spain, Gibraltar, Italy, Malta, Greece, and Turkey. Drink aged port wines inside a weathered riverside warehouse in Porto. Scan the distant hills of Morocco from the heights of Gibraltar. Sample sizzling, ham tapas inside a noisy bar steps away from Barcelona’s shadowy Gothic Quarter. Savor authentic eastern Mediterranean flavors during an unforgettable dinner and concert amid the ruins of the Celsus Library in Ephesus, Turkey. Wander open Turkish markets and savor the first tart pomegranates of the season or reflect among St. Therapon’s Baroque art. This extensive exploration of Mare Nostrum concludes in Athens, not far from the shadows of the Parthenon’s columns atop the Acropolis. 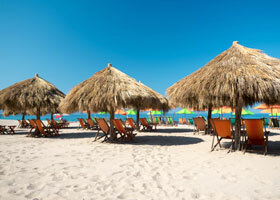 Mexico and Costa Rica await as you sail from San Diego to the storied waters of the Sea of Cortez. Sip smooth, wood-aged artisanal Jalisco reposado and añejo tequilas distilled from local family distilleries. Learn about sea turtle habitats and the effects of human encroachment during a visit to a Loreto sanctuary. Wander among the shadowy stone recesses of 3,000-year-old Izapa Mayan ruins. 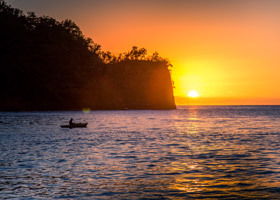 Before this remarkable 15-day journey ends you’ll have opportunities to snorkel among puffers and yellow butterfly fish near Costa Rican beaches and venture inland to dense and misty cloudforests, unique havens for almost 20 percent of our planet’s butterfly species. From the moment you arrive in the 3000-year-old city of Athens, dive right into ancient history at the Acropolis Museum. The voyage begins with a stop in Nafplio—one of the most romantic cities in Greece. Climb 999 steps to the Palamidi Castle or visit the UNESCO site of Epidaurus, where people travel hundreds of miles to be healed. Iconic Mykonos is a charmer with whitewashed churches and thatch-roofed windmills and the mythical birthplace of Apollo is just a ferry ride away. A visit to Kusadasi, Turkey means a chance to see Ephesus—one of the greatest outdoor museums in the world. The wonders continue with the sacred isle of Patmos where St. John wrote the Book of Revelation. Breathe in the beauty of Santorini with spectacular cliffs rising from the deep azure sea and visit Bronze Age excavations at the UNESCO site of Akrotiri. Monemvasia boasts churches dating to the 12th century and Milos teases the palate with delicious fresh seafood and sparkling white sands sans crowds. Cruise the dramatic Corinth Canal, only accessible to other private yachts and Greek mail steamers. Visit the historic site of Delphi where the Oracles were read and Delphi Archaeological Museum featuring the country’s finest works of art. Explore the beautiful beaches of Fiskardo and step back into the Crusader days in the walled city of Valletta, Malta. Cruise on to Sicily’s charming village of Giardini Naxos nestled in one of the world’s most beautiful bays and take your pick of UNESCO World Heritage Sites from Sorrento, including the archaeological areas of Pompeii and Torre Annunziata, or the 4th century B.C. city of Herculaneum. 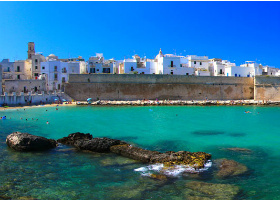 Ponza provides a welcome respite to relax with locals in this laid back one street island town before arriving in the metropolis of Rome to visit the Vatican, St. Peter’s Square, the Trevi Fountain, the Roman Forum and a host of other ancient relics. Sidestep the summer heat and long lines during this 17-day autumn exploration of the most popular destinations throughout Greece, Cyprus, Israel, Egypt, Malta and Italy with a memorable passage through the Corinth Canal. Sail from Athens and the Acropolis to Haifa, Israel, where excursion options include an overnight trip to Petra and the Dead Sea. 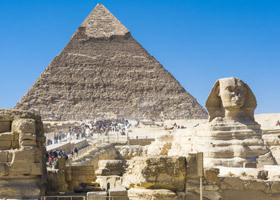 Take an overland tour from Alexandria, Egypt and stand before the majestic profiles of the Great Pyramids near sundown in Cairo. Step carefully among the tombs of over 300 Knights of the Grand Cross throughout St. John’s marble floors in Valletta, Malta. Sip licorice-flavored liquors in Heraklion, Crete. Catch the midday movements and animated actions emanating from the world’s largest astronomical clock in Messina, Italy. This remarkable journey concludes in Civitavecchia, an ideal port for easy transfers to Rome for connecting flights and additional destinations like the towering Colosseum, the Roman Forum’s extensive marble ruins and Trevi Fountain’s cascading Baroque grace. Tahiti’s Society Islands warmly welcome you to the South Pacific with sunny beaches, shopping and the spirited city of Papeete before you set off to Bora Bora for world-class snorkeling in crystal-clear lagoons (don’t forget your camera and underwater casing). Get a taste of the Cook Islands in Rarotonga—an up-and-coming foodie destination and natural playground boasting palm-studded white-sand beaches, lush jungle forests and the sparking waters of Muri Lagoon. One of the smallest countries in the world, Niue charms visitors with its friendly locals, pristine beaches, coral reefs and mystical caves. Discover Savusavu, “the hidden paradise of Fiji,” with abundant waterfalls, hiking trails, rainforests and beautiful black pearls. 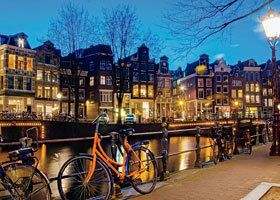 The shabby-chic main street features eclectic watering holes, a bustling market, and lively restaurants. Explore Suva, the capital of Fiji, with its broad streets, majestic British colonial buildings, farmer’s market, lush, green parks and multicultural cuisine. The Fijian finale of Lautoka, nicknamed Sugar City for its plentiful sugar cane, offers a stroll down tree-lined streets to see colonial homes, experience outdoor markets and absorb the cheerful culture. Be sure to save time for a relaxing mud pool bath or a visit to Nadi Temple. From Europe’s largest cities to the Atlantic’s smallest port towns, this 21-day cruise offers a variety of vistas and venues along the coastlines of Scotland, Northern Ireland, Wales, England, France, United Kingdom, Spain, and Portugal. Hike to the top of Battery Hill and meander among the 94 stone arches of McCaig’s Tower, or head north to Dunollie Castle, an imposing strongpoint that has protected inhabitants since the Bronze Age. Get a feel for life in the Royal Navy as you explore the storied decks of the British light cruiser HMS Belfast near London’s scenic Tower Bridge. Learn about the 1855 Classification involving nearby French wineries and Chateaus as you taste your way through wine flights during an overnight stay in Bordeaux. This cruise eventually concludes among the medieval monuments and red-tiled roofs of Lisbon, Portugal, where you can browse shops, cafés and galleries in the Alfama district or ride a yellow tram high above the city. 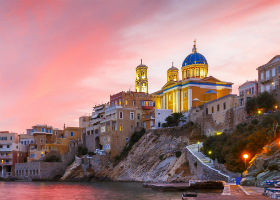 Explore the most popular destinations throughout the eastern Mediterranean free of summertime crowds and searing heat during this 20-day autumn cruise to Greece, Turkey, Cyprus, Israel, and Egypt. Set sail from Athens and make a brief transit to the other side of the Peloponnese peninsula via the Corinth Canal. Discover Greece and the origins of the Olympic Games outside Katakolon and walk along the training grounds used by the earliest athletes. 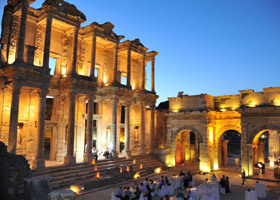 Savor a memorable Turkish dinner and an evening concert among the shadowy ruins of the Celsus Library in Ephesus, an included Destination Discovery Event. Listen for the call to prayer from Istanbul’s minarets during an overnight stay. 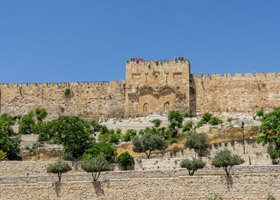 Walk Jerusalem’s narrow streets and view holy sites. 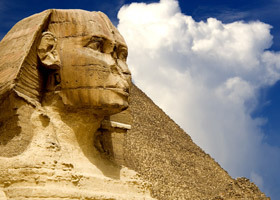 Embark on an overland tour that explores the Great Pyramids and tombs of the pharaohs near Cairo. Your memorable journey concludes in Athens, where you can explore Hadrian’s Library on the northern side of the Acropolis, or sample Souvlaki—a spicy skewered meat—grilled fresh at local tavernas. 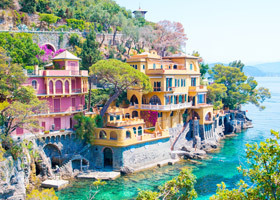 Combine the Riviera’s romantic, Old World ambiance with the grandeur of the Roman and Greek empires during this 17-day cruise featuring stops in Spain, France, Monaco, Italy, Malta, and Greece. Sail north from thriving Barcelona to the quiet fishing village of Palamos, where white sand beaches almost rival the delicious local prawns. Relax over French press coffee and freshly baked butter croissants at an outdoor beachside café in romantic Sanary-sur-Mer, then sample deep red Bandol wines in a wine bar. Test your luck among the gilded opulence of a Monte Carlo casino. Stroll among the blocks, columns arches and former temples throughout the Roman Forum as the Colosseum looms in the distance. Wander Valletta’s narrow passages and scarred Maltese fortifications. 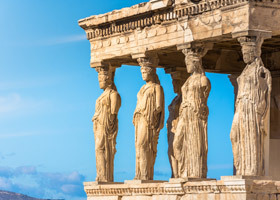 Your remarkable journey ends near Athens, home of the Parthenon and the epicenter of Western Civilization’s Classical Period, where the ideas of European art, literature and philosophy took root among early scholars thousands of years ago. Sip red wines and savor tapas, pastas, rich cheeses and aged hams throughout Portugal, Morocco, Spain, France and Italy. You’ll spend 15 memorable days exploring tiny rustic villages, historic fortified ports and contemporary architecture in Tangier, Ibiza, Barcelona, Palma, Mahon, Portoferraio, Rome and more. Kayak along the stunning coastline of Mallorca and bike from Portoferraio to Enfola, Elba in Italy. Uncover the distinct and authentic culinary advantages of pairing specific olive oils with various Italian dishes under the guidance of the Maître d’hotel inside Portofino’s landmark Splendido Hotel. Roll the dice in a Monte Carlo casino or stroll along the narrow streets and tight corners on one of the most famous race courses on the Formula One circuit. Seek out the charming medieval village of Bormes Les Mimosas or the narrow cobbled streets of Old Town Antibes. Glide past walled gardens and centuries-old orange groves as you take a precipitous driving tour along the winding Golden Corniche through the French Riviera. Meander between the high columns and dust-covered scaffoldings of the Sagrada Família Cathedral in Barcelona, the largest unfinished Roman Catholic Church in the world. Or set out for tapas and riojas hours after sunset, when the aromas and din from lively bars and cafes intensify with the arrival of epicurean pleasure-seekers. There, among the ceaseless trilingual convergence of English, Spanish and Catalonian, you’ll find no better place to raise a glass to the satisfying indulgences on this Mediterranean adventure. Arrive rested, refreshed and ready to explore the Iberian Peninsula and Northern Africa during this 21-day transatlantic cruise combined with port stops in the Azores, Portugal, Spain, and Morocco. Slip past the sloped, imposing walls of Castillo San Cristóbal on your way across the Atlantic. Relax and book spa appointments or reconnect with friends and family as you gradually acclimatize to time zones and arrive ready to explore Horta on the island of Faial among the Azores Archipelago. Explore the waterfront of Portimao, a small Portuguese fishing port with a thriving sardine industry. Inhale the aromatic spices among the shadows of high medieval walls in a raucous Tangier market. Indulge in the visual contrasts of Almería’s 500-year-old Gothic cathedral and the modern Neolithic exhibits housed inside the angular and contemporary Museum of Almería. Your transatlantic vacation concludes along Barcelona’s vibrant waterfront, where you can sample rich seafood paella paired with touristy sangrias, and dark, smoky red Tempranillo wines. Blend the best Northern Europe cities with Norway’s unforgettable vistas and natural beauty on a 2-week cruise through Sweden, Finland, Estonia, Russia, Denmark and Norway. Sip traditional kali, a tart, dark and bubbly Estonian refreshment made from fermented rye bread, in a small café in Tallinn’s Old Town. Savor an enchanting evening of classical music and ballet in an ornate, centuries-old theater during an overnight stay in St. Petersburg, Russia. Inhale the arboreal aromas of a Norwegian forest high above a fjord during a ride on the famous Flam Railway. Glide past tumbling waterfalls and sheer precipices in Geirangerfjord and admire the serene beauty of Sognefjord, Norway’s deepest and longest fjord. Start your journey in Reykjavik, the world's most northerly capital, where 24-hours of summer sunlight extend your chance to explore the city’s eclectic architecture and soak in the Blue Lagoon. Grundarfjordur offers the glaciers and calderas of Snæfellsjokull National Park and Heimaey Island is the site of an eruption that is considered a modern-day Pompeii. 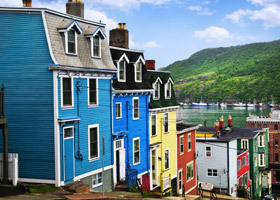 Cross the Labrador Sea to discover Newfoundland, home to some of North America’s oldest settlements and the 10,000-year-old glacier-carved Bonne Bay home of plentiful moose and caribou. Shop the boardwalk in Halifax, then, set sail for New England, visiting Acadia National Park, near Bar Harbor, Maine, the Cape Cod Canal, and bustling New York City. Explore the Vanderbilt mansions and sample fresh seafood in Newport, Rhode Island and embark on the same shores as the Mayflower in Provincetown, Massachusetts. Transit the Canso Canal and head to picturesque Charlottetown, the inspiration for Anne of Green Gables on Prince Edward Island. 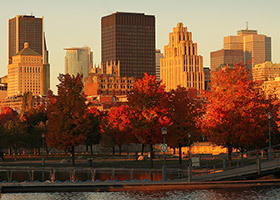 In Quebec, enjoy remote wilderness and North America’s largest gannet colony near Perce Rock in Gaspé, overnight in beautiful and historic Quebec City, and finish your voyage in Montreal, the creative capital of Canada with lovely terraced cafés. 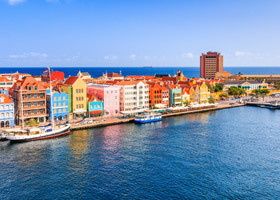 Cruise from the busy Panama Canal to Colombia’s remote coastlines before crossing the Caribbean Sea to the idyllic Windward Islands during this 14-day cruise featuring visits to Panama, Colombia, the Dominican Republic, Puerto Rico, St. Maarten, Guadeloupe, St. Vincent & the Grenadines, and St. Lucia. 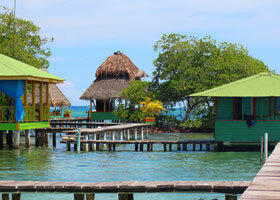 Snorkel the shallows off Rosario Islands or explore the centuries-old tunnels beneath Castillo de San Felipe de Barajas. 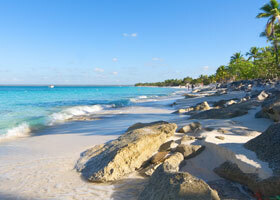 Swim among coral and colorful fish off the Dominican Republic’s Isla Catalina. 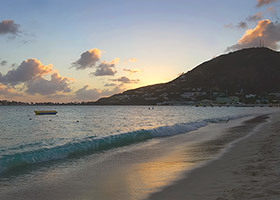 Browse unique jewelry and elegant beachwear along Philipsburg’s Front Street on St. Maarten. 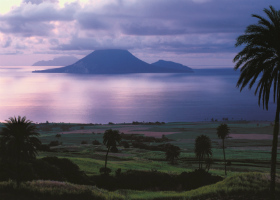 Discover a ghostly love story among the gleaming exhibits and weathered relics of Fort Napoléon des Santes in Guadeloupe. Dig into spicy creole chicken at one of many family-owned restaurants throughout colorful St George’s on Grenada. 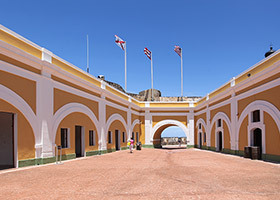 Your exceptional journey culminates in San Juan, Puerto Rico, where you can walk the Old San Juan promenade in search of handcrafted souvenirs, or sip fruity rum drinks at countless city pubs. 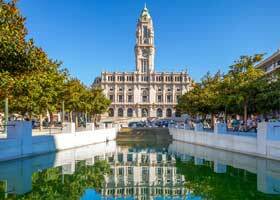 Bask on sunny beaches along the Iberian Peninsula before sailing north to the green hills of Ireland during this 15-day cruise that visits ports in Spain, Gibraltar, Portugal, Isles of Scilly, and Ireland. Indulge in a savory seafood paella at a beachside café in Palma de Mallorca or examine relics from the Middle Ages inside the circular Castell de Bellver. Gaze down at busy Gibraltar Strait and the distant Moroccan Coast from atop the Rock of Gibraltar. Uncover the distinct characteristics of almond-fragranced Fino sherry and learn about stacked solera barrel aging systems in bodegas near Cádiz, Spain. Explore the fortifications and shipbuilding relics throughout El Ferrol, the world’s most formidable port during the age of cannon and sail. 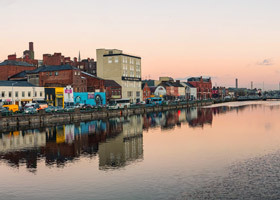 Your journey concludes in Dun Laoghaire, close to Dublin and home to the Maritime Museum, the James Joyce Tower, and local pubs, unique boutiques and outdoor cafés serving hot and crunchy fish and chips. Start your journey in Cairns, wandering the Esplanade, exploring Tjapukai Aboriginal Cultural Park, Daintree National Park, and visiting the quaint fishing community of Cooktown before cruising one of the world’s seven wonders—the Great Barrier Reef. Thursday Island offers a wet landing and an introduction to the indigenous Torres Strait Islanders. Cultural exploration continues in Yirrkala, an Aboriginal artisan community where bark paintings, weavings and Didgeridoos abound. In the cosmopolitan city of Darwin, don’t miss Mindil Beach, Litchfield National Park and Kakadu National Park, and Crocosaurus Cove—home to turtles, water buffalo and saltwater crocodiles. Cross the Timor Sea to Kupang, Indonesia where friendly locals delight in showing their tenun ikat woven cloths. Wildlife lovers prepare to be amazed in Loh Liang; this UNESCO World Heritage Site and Biosphere Reserve is home to nearly 6,000 Komodo dragons, manta rays, whales, dolphins and turtles. Benoa instantly entrances visitors with Bali’s spectacular beauty, calm waters, small village atmosphere and Batik artistry. 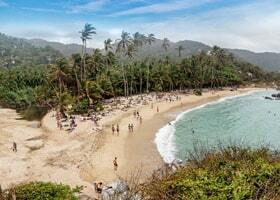 Savor satays and secluded beaches in Kepulauan Seribu, and Pantara Island. Conclude your Indonesian adventure in Singapore by exploring the Botanic Gardens, Chinatown and Little India. 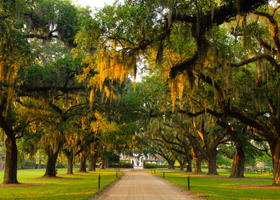 Transition from the crossroads of early Western Civilization to contemporary artistry and innovations throughout Italy, France and Spain during this 14-day autumn cruise along celebrated coastlines. Sail through the narrow Corinth Canal to the Temple of Apollo on Delphi, and learn how Apollo spoke to Greek citizens and early Romans. Tour the restored grandeur of the Church of Our Lady of Victory, Valletta’s first church. Stand before the bold Baroque columns and stairs of Saint Andrew’s Cathedral in Piazza Duomo, the center of Amalfi. Wander between Colosseum arches and the ruins of the Roman Forum in Rome. Shop among Monte Carlo’s most exclusive boutiques or nibble on spongy tiramisu with espresso-sipping locals. This memorable journey concludes in cosmopolitan Barcelona, where you can wander the upscale waterfront in search of paella, or venture to the heights of Montjuïc and the picturesque Palau Nacional, a palatial museum with terraced fountains and sweeping city views. Discover the Adriatic, Ionian, Ligurian and Tyrrhenian seas during this 18-day cruise around the Italian peninsula as you explore ports in East Italy, Croatia, Montenegro, West Italy and France. Kayak along Dubrovnik’s old city walls, swim or snorkel in Kotor Bay in Montenegro and make your own Sicilian-style pizza on Lipari Island. Explore the ruins of Pompeii as you gaze skyward toward the summit of Mount Vesuvius, and savor tangy mulberry gelato in the shade of the Roman walls that still protect the 3rd century village of Taormina near Messina. 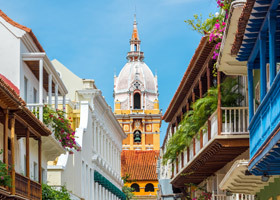 Explore small ports such as Isla Parida and Puerto Chiapas and popular landmarks like the Mayan ruins and Manuel Antonio Park in detail throughout Mexico and Costa Rica before transiting the busy Panama Canal during this 15-day journey along Western Central America. Swim, sunbathe and snorkel on remote Baja beaches, then savor Sea of Cortez sunsets over hearty Tempranillo wine from nearby Valle de Guadalupe. Sample refined agave cocktails in a vibrant Puerto Vallarta beachside bar. 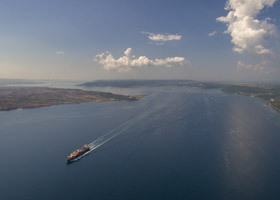 Experience the rarity of a daylight transit of the Panama Canal as you learn insights about the history and challenges endured throughout the construction of this maritime marvel. 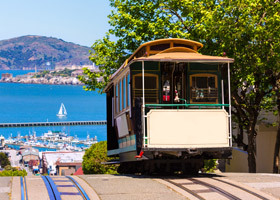 Sail from Vancouver’s Coastal Range vistas to the Pacific Coast’s warmer waters via Seattle’s famed Pike Place Market, Portland’s eccentric and artistic enclaves, San Francisco’s trendy Silicon Valley architecture and timeless Cabo San Lucas beach sunsets. Stay late for dining, dancing and exploring Portland’s Riverwalk and Sausalito’s lively waterfront. 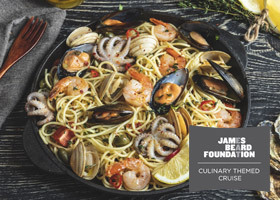 Along the way James Beard Foundation chefs will serve up culinary demonstrations and award-winning recipes. 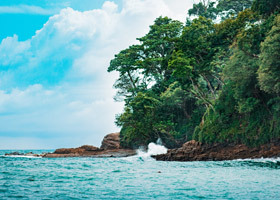 South of the border you’ll snorkel in the Sea of Cortez, shop Puerto Vallarta’s boardwalk, and seek out sleepy sloths and other rare and reclusive wildlife high in the lush canopies of Costa Rica’s cloud forests. Ideal for anyone who can’t get enough of Tahiti, this unique cruise features twice the visits to ports, so you have double the opportunities to see and experience what you love, and you can do all the things you passed up during your previous stop. 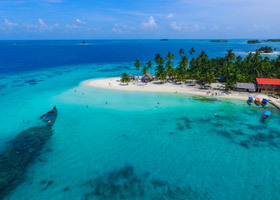 It’s a top tropical pick among romantic couples, active divers and anyone in love with everything under the sun among countless blue Pacific lagoons. 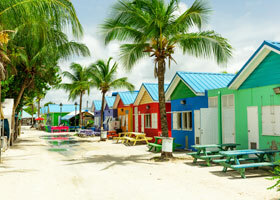 Dive or snorkel among vibrant and dizzying schools of tropical fish and friendly dolphins in the massive lagoon of Rangiroa, the second largest coral atoll in the world. Visit and learn about oyster pearl farming at the Anapa Pearl Farm on the west coast of Tahaa near Raiatea. Skim the turquoise Pacific waters off the coast of Bora Bora on a WaveRunner personal water craft as your guide leads you on a tour that circumnavigates the entire island, giving you expansive views of the steep jungle slopes of Mount Pahia and Mount Otemanu from all sides. Whether this is your first visit or the continuation of a lifelong obsession with this idyllic tropical archipelago, this Tahitian cruise offers double the fun, relaxation and romance. Discover Norwegian natural beauty, Scandinavian splendors and remote Baltic ports during this 18-day exploration of Northern Europe. Wander the cobbled pedestrian paths along aromatic cafés and captivating Estonian shops in Tallinn’s Old Town. Dine on rich, gravy-covered Swedish meatballs, or sample pickled herring paired with dill, garlic and mustard in a classic Smörgåsbord meal in Stockholm. Lean back and take in near-vertical views of sheer cliffs and tumbling veiled waterfalls throughout Norway’s Geirangerfjord and Sognefjord. Spend an enchanting evening among St. Petersburg’s sparkling city lights, and linger over Russian exhibits in the Hermitage Museum, one of the largest art collections in the world, during an overnight port stay. Start your journey through Melanesia in lovely Lautoka, Fiji with a visit to Nadi Temple or a relaxing mud pool bath before diving into the crystal clear waters of Yasawa-I-Rara Island. Upon arriving in Port Vila, sink your teeth into fresh seasonal fruit at Mama’s Market, feel the cleansing mist of Mele Cascades waterfall, take a swim at beautiful Jade Beach, or head to the Hawksbill Turtle Sanctuary. Excitement ensues on the approach to Tanna, where Mount Yasur erupts daily, wild horses roam free, and untouched underwater caves await curious snorkelers. 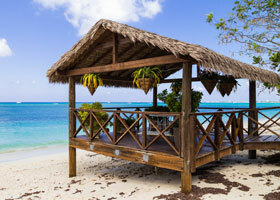 Take in the aromatic Mucaweng Vanilla Plantation of Lifou and the outrigger-style pirogues of Ile de Pins. Before embarking on your journey across the Coral Sea, spend the day exploring Noumea, New Caledonia, the World War II headquarters for the U.S. military in the South Pacific. Then sit back, relax and feel the calming rhythm of life at sea with no interruptions. Reconnect with yourself and your companions on sea days crossing the Coral Sea before exploring Cairns, Australia. Plan extra time to wander the Cairns Esplanade, explore the Tjapukai Aboriginal Cultural Park, discover Daintree National Park, and experience the magnificence of the Great Barrier Reef. Your Atlantic adventure begins in Copenhagen, a fairytale city and home of delightful Tivoli Gardens, on to overnight in Bergen and visit UNESCO site Bryggen, the old Hanseatic wharf. 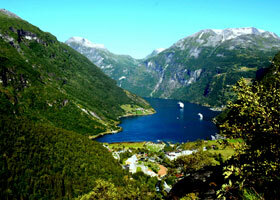 Cruise to the breathtaking fjords in Geiranger, Norway and to the UNESCO town of Hellesylt. Tour the Art Nouveau city of Alesund and Lerwick, the only town in the Shetland Islands. From Kirkwall, you will have a chance to visit the UNESCO site of the Ring of Brodgar, dating back to 2700 B.C. Have your camera ready to capture the traditional turf roof villages of Torshavn and see the impressive glaciers and calderas of Snæfellsjokull National Park, and Heimaey Island’s modern-day Pompeii. Cross the Labrador Sea to Newfoundland, home to some of North America’s oldest settlements, 10,000 year-old glacier-carved Bonne Bay and a large population of moose and caribou. Visit Acadia National Park, near Bar Harbor, Maine, transit the marine life rich Cape Cod Canal, and explore the famous Vanderbilt mansions in Newport. Sample fresh seafood in Newport, Rhode Island and embark on the same shores as the Mayflower in Provincetown. 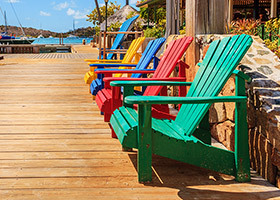 Transit the Canso Canal and head to the picturesque Prince Edward Island town of Charlottetown. 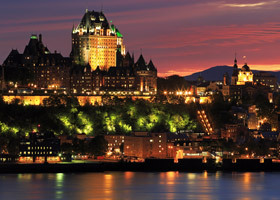 In Quebec, enjoy the remote wilderness and French-styled lobster of Gaspé, savor an overnight in the beautiful and historic Quebec City, and finish your voyage in Montreal, a UNESCO City of Design with terraced cafés serving Kamouraska lamb, Arctic char and signature poutine. A 44-day adventure from Melanesia to Australia and Indonesia allows time for in–depth South Pacific exploration of 12 islands. Begin in Lautoka, Fiji with a relaxing mud pool bath before diving into the crystal clear waters of Yasawa-I-Rara Island. Snorkel your way through the colorful lagoons of Melanesia and encounter the World War II remnants and friendly folks in Noumea. Watch for volcanic activity from Mount Bromo, Mount Batur and Krakatoa. Tour the Cairns Esplanade and experience the magnificence of the Great Barrier Reef. Keep your eyes out for wallabies, water buffalo and turtles near Darwin. Visit the Aboriginal artisan community of Yirrkala where bark paintings, weaving and Didgeridoos abound. 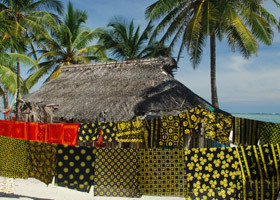 Cross the Timor Sea to Kupang, Indonesia where friendly locals delight in showing their tenun ikat woven cloths. 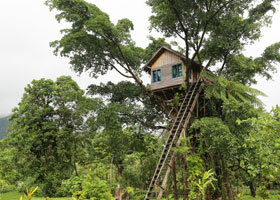 Wildlife lovers prepare to be amazed in Loh Liang. This UNESCO World Heritage Site and Biosphere Reserve is home to nearly 6,000 Komodo dragons, while Benoa boasts Bali’s spectacular beauty, calm waters and small village atmosphere. Don’t forget to extend your stay in Singapore to find the UNESCO site Botanic Gardens, Little India and Chinatown.